A brief summary of Good Things and Carmel can be found below. If you would like more information, a more detailed and sentimental take on the story of how things came to be good, click here. 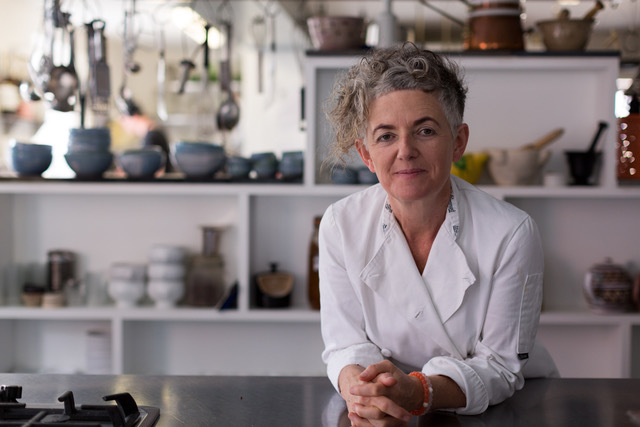 Good Things is a dynamic food business - beginning as a restaurant, it later expanded to include cookery classes and now, an on-the-road cumulation of all things good and foody. No longer located in just one place, Good Things can come to you, your area or you can come to one of our many popups around the country. Additionally, we still offer a select few courses upstairs at the Glebe in Skibbereen. Carmel Somers is an award winning chef, food writer, and educator who established Good Things (in its restaurant era) several years ago. She is, now, the essence of Good Things, and it is her flexibility that allows Good Things to take the the road. If you would like to gift someone dear to you some Good Things, click here to purchase a voucher than can be redeemed against any course or event. If you'd rather eat broken glass than be pestered by constant updates from us but you still want to stay up to date, this is the way for you. We promise to be measured in our sharing of exciting news. If you're prepared for a more intense commitment we recommend you join us on Facebook, Instagram or Twitter to be bowled over by all Good Things!